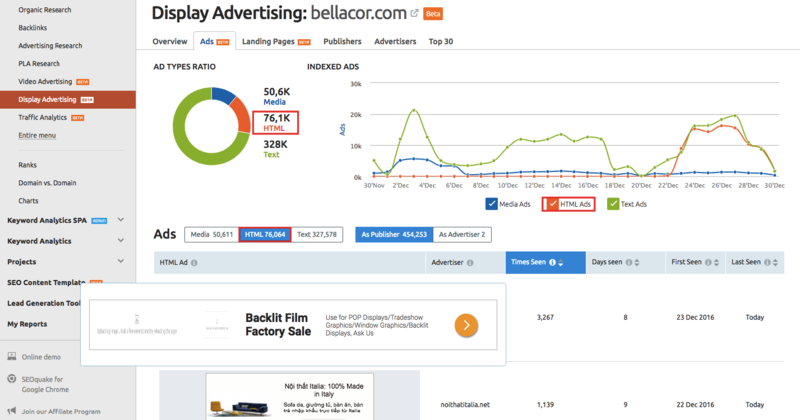 Breaking news for the Display Advertising tool: meet the new HTML Report! Previously, Display Advertising only collected text and banner ads. We also know that HTML5 ads are very sought-after these days. Compared to other formats, the HTML5 share is somewhere around 15-20 percent. Obviously, it's a good thing that we decided to start working with this ad format. We've not only started collecting a new type of ads – now we’re collecting 20 percent more of them! You can find the HTML report in the ‘Ads’ tab. The Display Advertising tool is increasing rapidly! Get ready for new updates – they’re coming soon.